We probably accept that Tour caddies are better at reading Putts than most of us. There’s an opinion that they’re masters of some “dark art” of green reading. Yes, the caddies have little tricks like knowing the green slopes towards water. 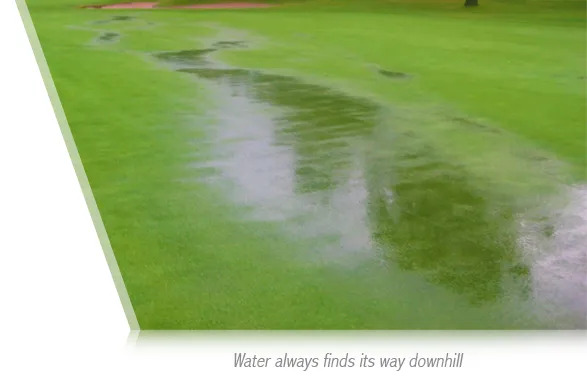 But what they’re looking for is where the water would run if it was on the green, because they know the water will follow gravity and always run downhill. The ball will do the same. That’s what you’re looking for. You’re trying to read a green (around the hole) first. I suspect you’d make more Putts if you could improve your reading of where the ball will follow gravity.